Get your glow on! Enjoy these two great new products with a 5% discount. 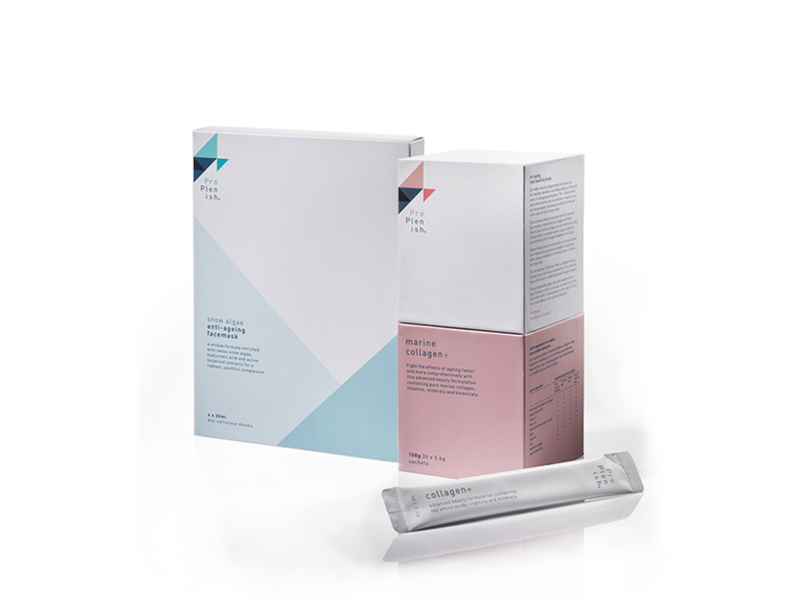 Combining regular use of our Anti-ageing facemask with daily use of ProPlenish marine collagen oral supplements assists the health and overall appearance of skin. Purchase this product now and earn 95 VIP Reward Points! This advanced formula contains our 100% pure marine collagen along with 9 active vitamins, minerals and botanicals for a complete health and beauty solution. No longer do you need to take an array of supplements, get all that you need in one convenient sachet a day. Discover a more radiant, more youthful complexion with this potent blend of Swiss Snow Algae, hyaluronic acid and three active botanicals. ProPlenish Anti-ageng Facemasks help to boost collagen and elastin production, reduce the appearance of fine lines and wrinkles, repair, hydrate and protect the skin. Each pack contains 4 x 25ml Bio-cellulose masks.